Home › Credit › The Meaning of Credit History. The Meaning of Credit History. We have certainly heard a lot about Credit history. In fact, every other financial institution tries to give their customers advice that they should always have a good Credit history so that they can access loans more easily. This not untrue. 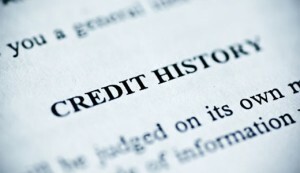 But what exactly is Credit history? Actually the term Credit history may be used variously in personal finance situations as well as corporate and even international finance. But the truth is that apart from financial experts and perhaps students, many people are almost clueless about what this term actually means. Your Personal Financial Mentor gives you an overview of what Credit history means as far your personal finance is concerned. Essentially, Credit history refers a history of your past and present borrowing record. It is used variously with other terms such as credit report and credit score, although these words don’t necessarily mean the exact same thing. It is the history of how you borrow and pay your debts. Although everything about debts is supposed to be negative, a Credit history may either be negative or positive. If for example you have a habit of borrowing multiple loans at the same time, or you pay your bills or loans late, then this translates to a negative Credit history. A good history reflects minimal borrowing, paying the debts before they are overdue, and settling your bills on time. Even when there is a lot of borrowing on your record, it helps if you settle them on time every time, and if there are no late bill payments on you record. Whenever you want to take a loan from any financial institution, your Credit history is usually the most important factor that they base on. Well, actually loans are a risk for financial institutions, and they always need to be sure that they can rely on you to pay them back on time. That is why if it appears that you have a habit of not paying back, they take it that you are likely to do the same again. Not having a Credit history is not good for you either because it means that it is still difficult to determine whether can be trusted to pay back a loan. It is important that you review your credit reports as regularly as possible in order to know where you stand financially. Otherwise you will be met with shock when your loan application is declined. August 8, 2013 The Meaning of Credit History.